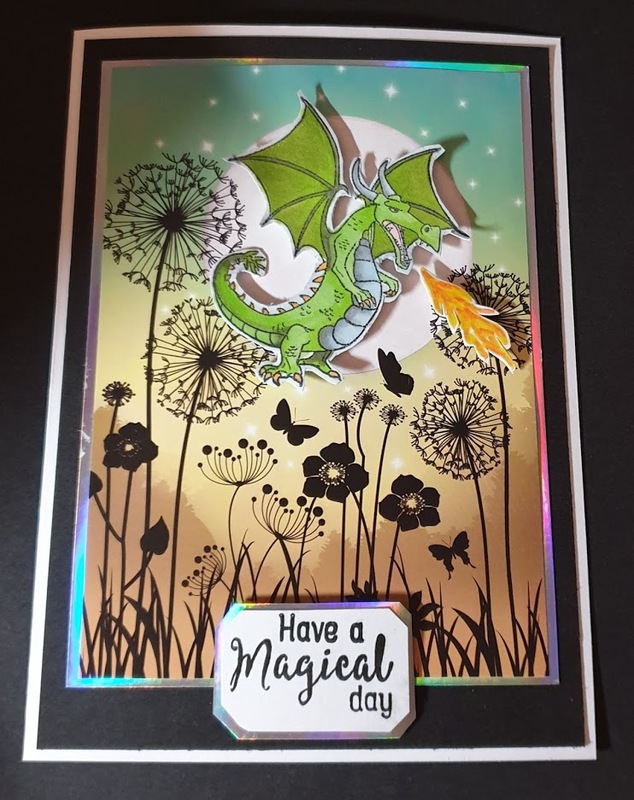 As tomorrow is St. George's Day in England, we would like to see your dragons aplenty, or if you don't fancy dragons any other mythical creatures will do nicely. 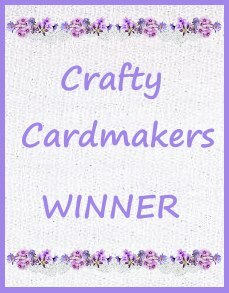 As usual anything you care to enter is fine, a card, scrap layout, mixed media piece, some home decor, as long as it meets the theme. 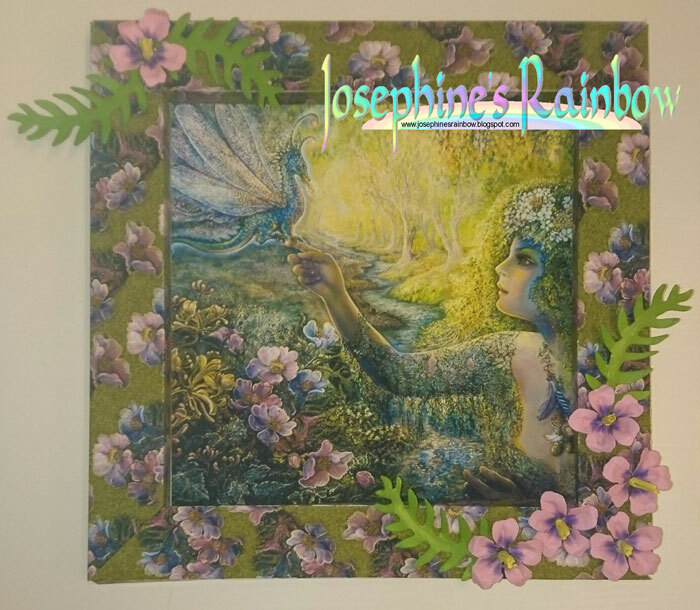 I've used the Josephine Wall CD Rom Enchanted Dreams for the image. 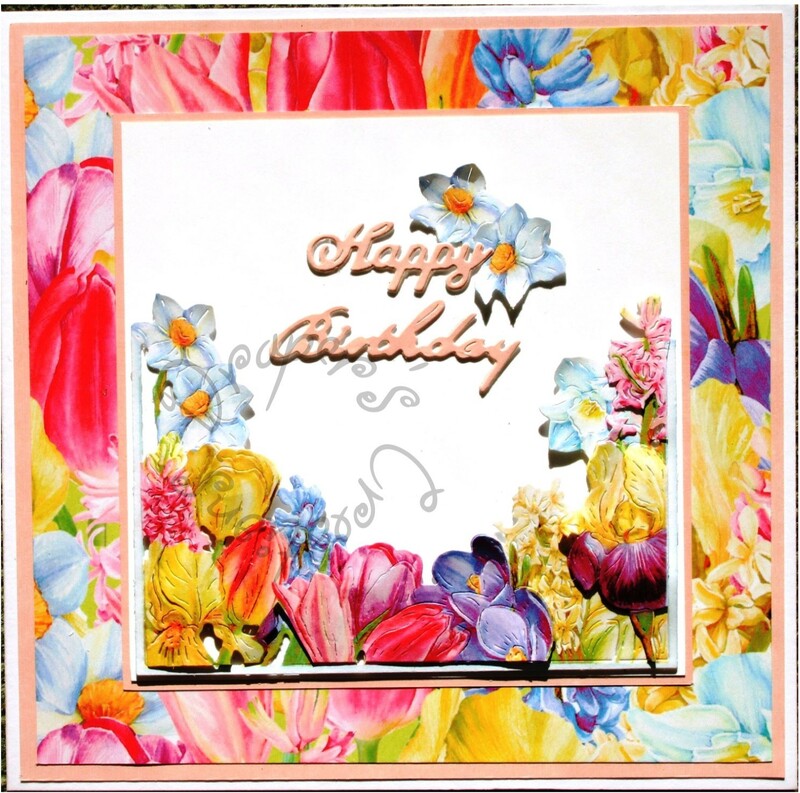 I took the floral area towards the bottom left of the image and used that to make a new paper which I cut using a frame die from Elizabeth Craft, and added some flowers to finish. I used an old rubber stamp from my collection by Whipper Snapper Designs, Inc (2005) called Birthday Dinosaur. 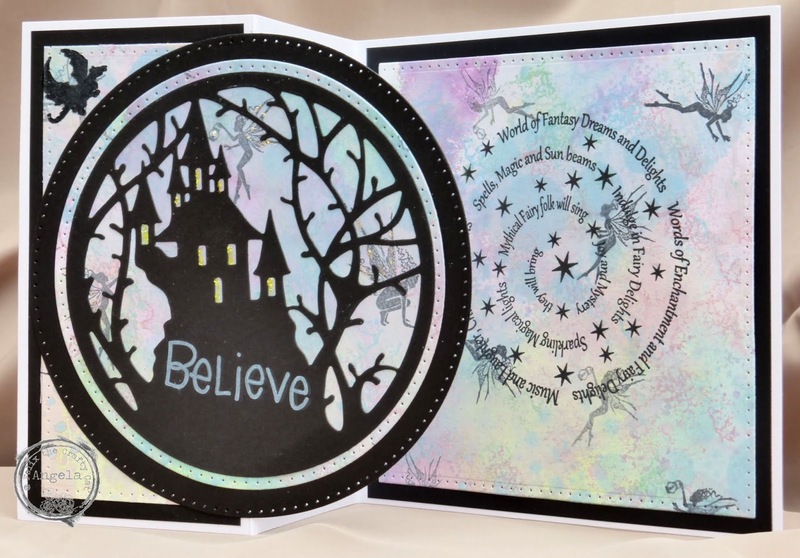 The presents are part of a Christmas stamp that I cut out a portion and the sentiment is a die cut. 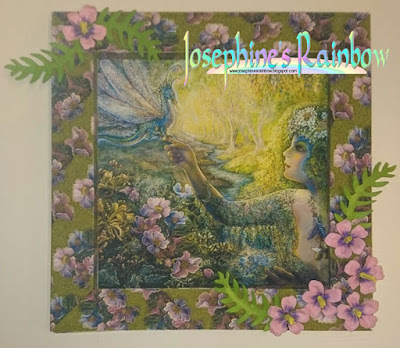 My colouring was done with Copic Markers and pencil crayons. 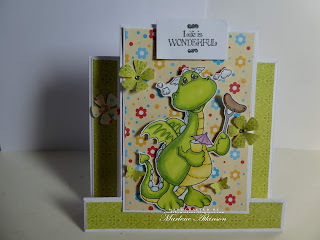 I used a stamp from Whimsey titled 'Freddie'. 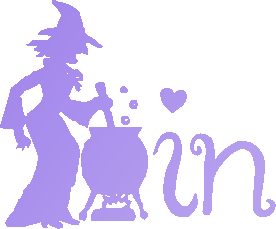 I just think it is so cute. 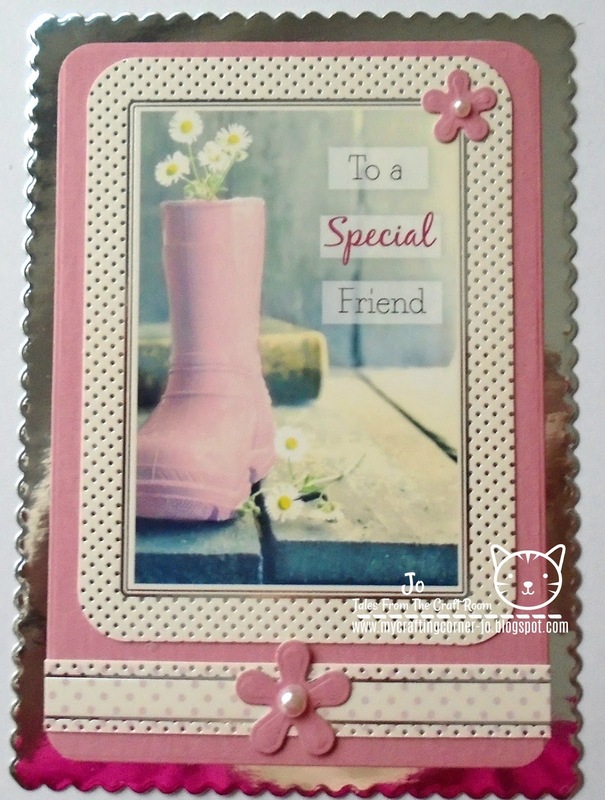 I added a corner flower and made the small stamped flower dimensional. I coloured the image with Prismacolor markers. 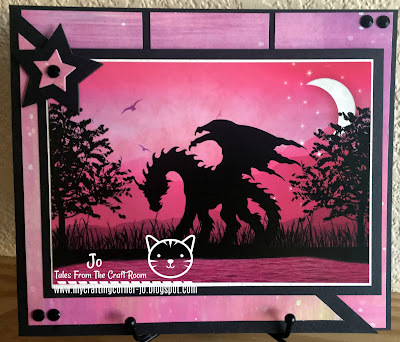 My choice of mythical creature is the unicorn and I decoupaged an image from Hunkydory's Little Book of Unicorn Utopia, matting it onto variegated purple mirri and framing it in a lighter purple card cut using a Hunkydory fabulous trellis frame die. 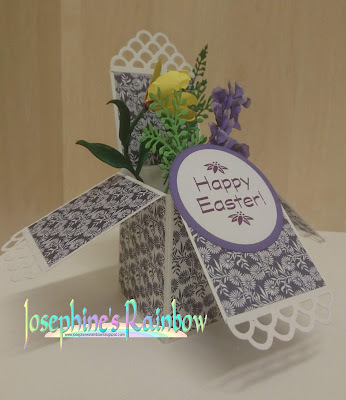 I added a die cut bow and sentiment. 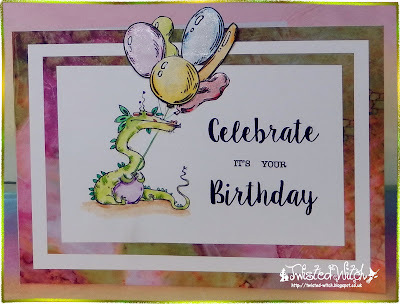 I love these dragons by Mama Elephant and thought it would be really cute having the dragon deliver a cupcake as a birthday surprise. 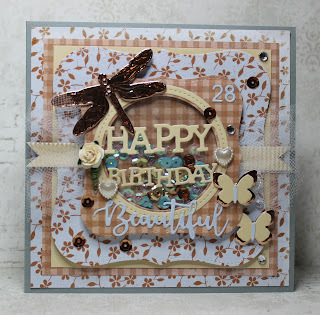 To spice it up a little I created a shaker element with stars and butterflies as my shaker material. The beautiful dragon image is Hunkydory and I layered him onto white card to give it a little bit of a lift then onto black which I think is the perfect frame. Some die cut stars & faux gems to finish. 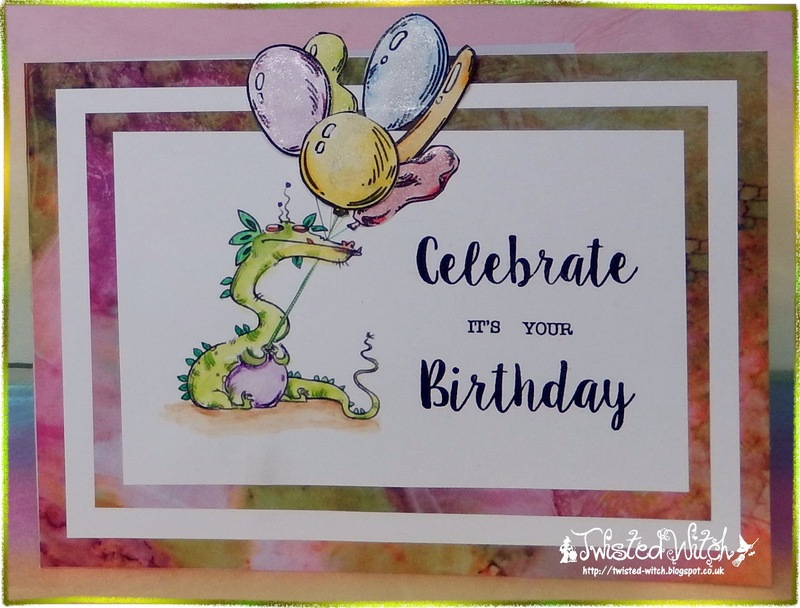 My card was made using Hunkydory little book page, with a dragon from a Creative Stamping stamp set that I coloured with alcohol pens. Let's see all your bunnies, chicks, eggs and even bonnets in our Easter Parade, and also your traditional Easter cards. I used various Tattered Lace dies for this card. 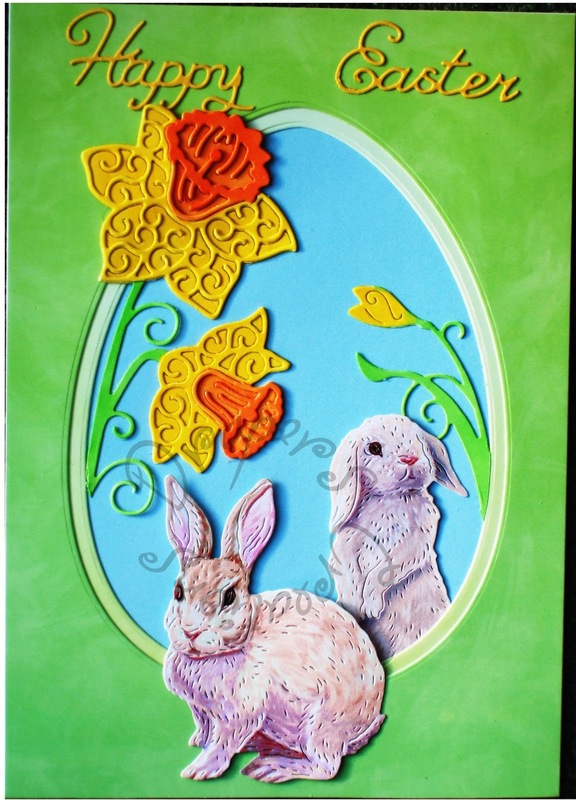 The daffodils were coloured using Promarkers and the bunnies were a charisma download. 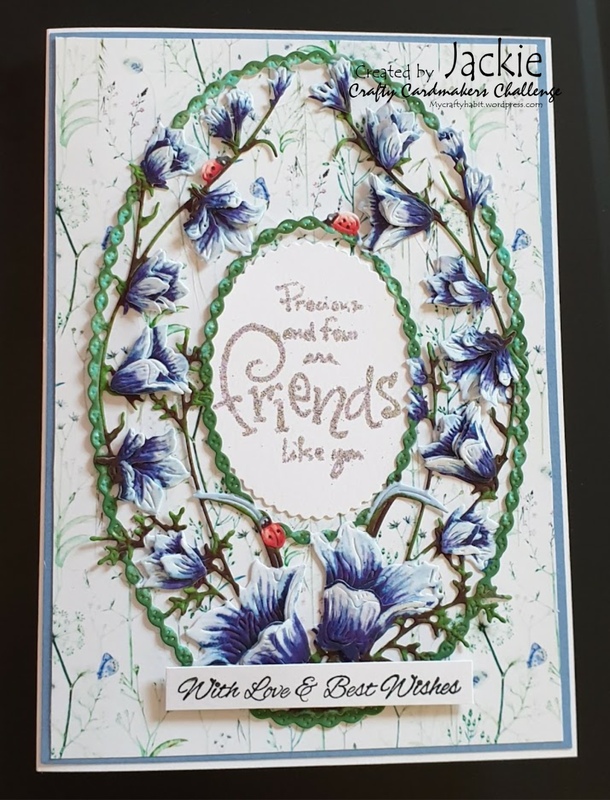 I used a set of Spellbinders dies for the base of this box card, papers from Kirstie Alsop and dies from Susan's Garden Notes by Elizabeth Craft and Creative Expressions for the flowers and greenery, finishing with a computer generated sentiment. 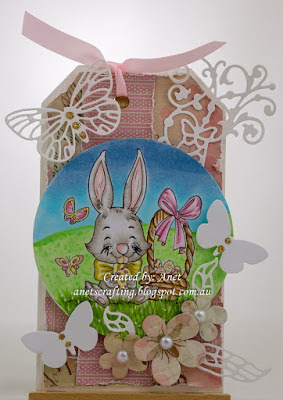 I used a Beccy's Place image titled An Easter Bunny, a sentiment from a Joanna Sheen rubber stamp titled 'Messy Rabbit' and various dies. 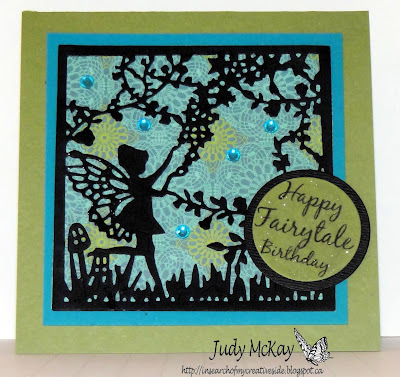 The coloured paper is all from Stampin' Up'. 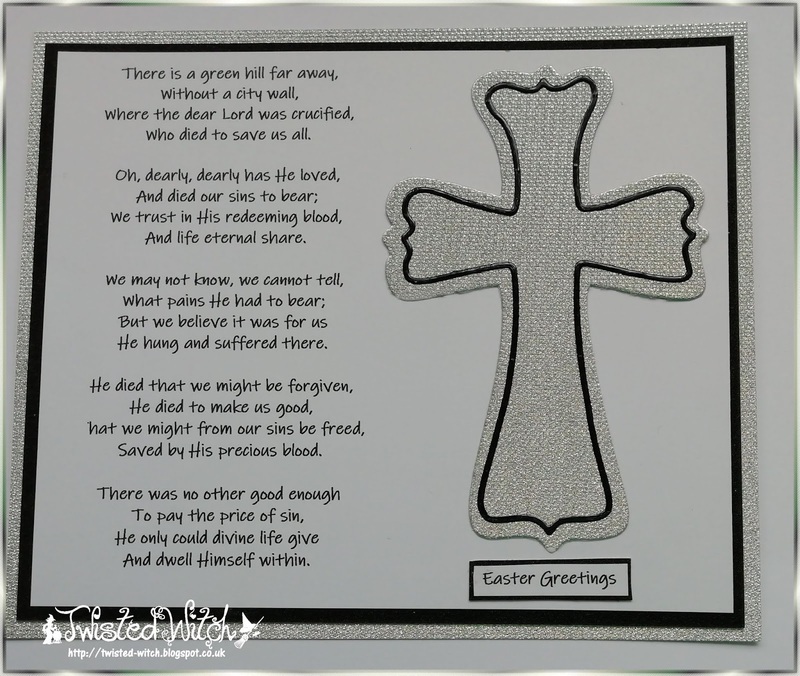 For my Easter card I used a digital image by LeighSBDesigns. 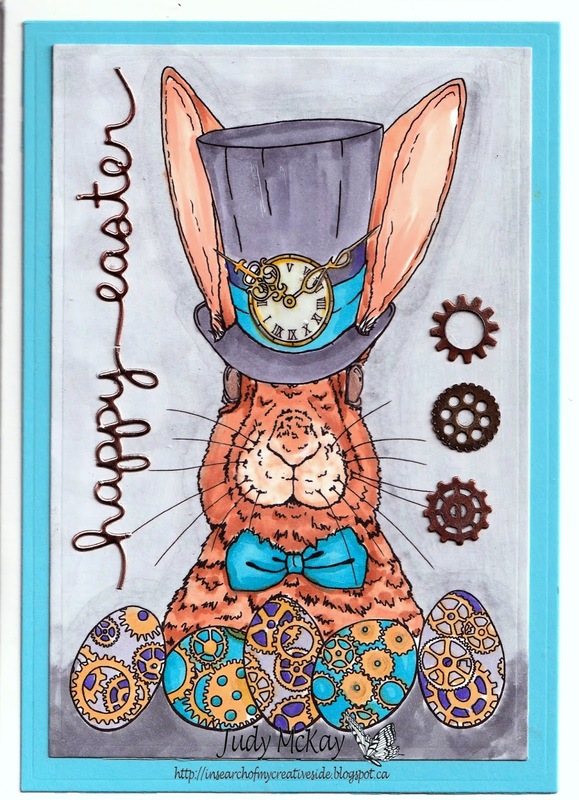 I love this steampunk Easter rabbit, it is just perfect for a teenager's card. 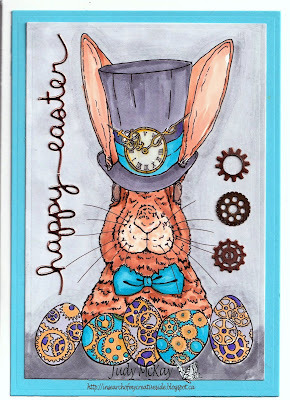 I used copics, pencil crayon, Wink of Stella on the eggs, Diamond glaze on clock and eyes, gears, and copper paper for the sentiment. 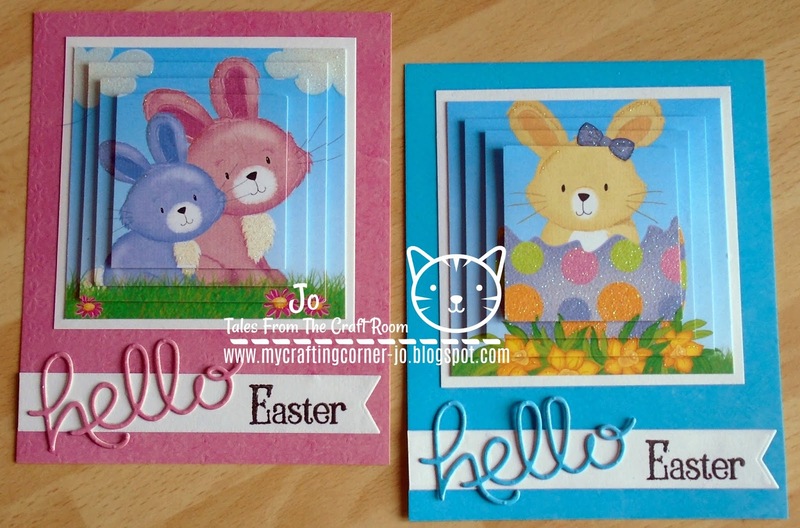 Lots of lovely layers to make these toppers, I stamped onto the die cut banners then finished with a die cut word. 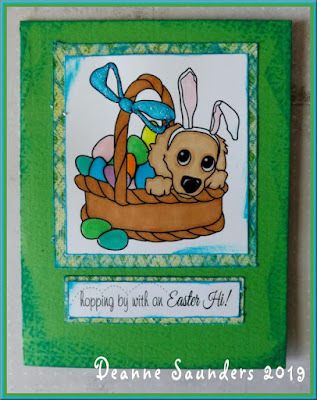 My tag was created using paper by Kaisercraft. Added some stenciling and topped it with die cuts, lace and flowers. 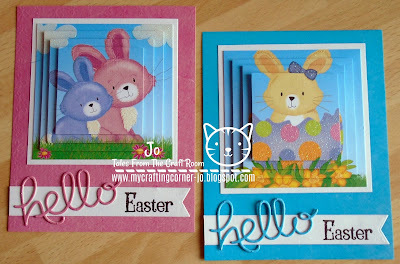 There is also a free printable from the net and, to create some more texture, I also added prills and microbeads. 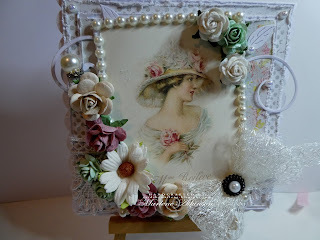 All the details can be found on my blog. 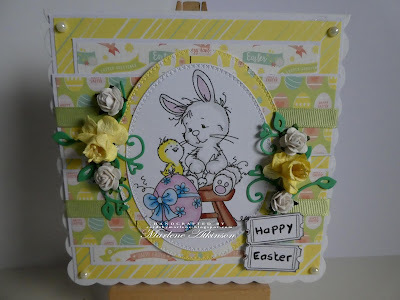 For this card I have used a Whimsy Stamp called Easter Bunny coloured her with Promarkers, papers are from Dovecraft added some Flowers. 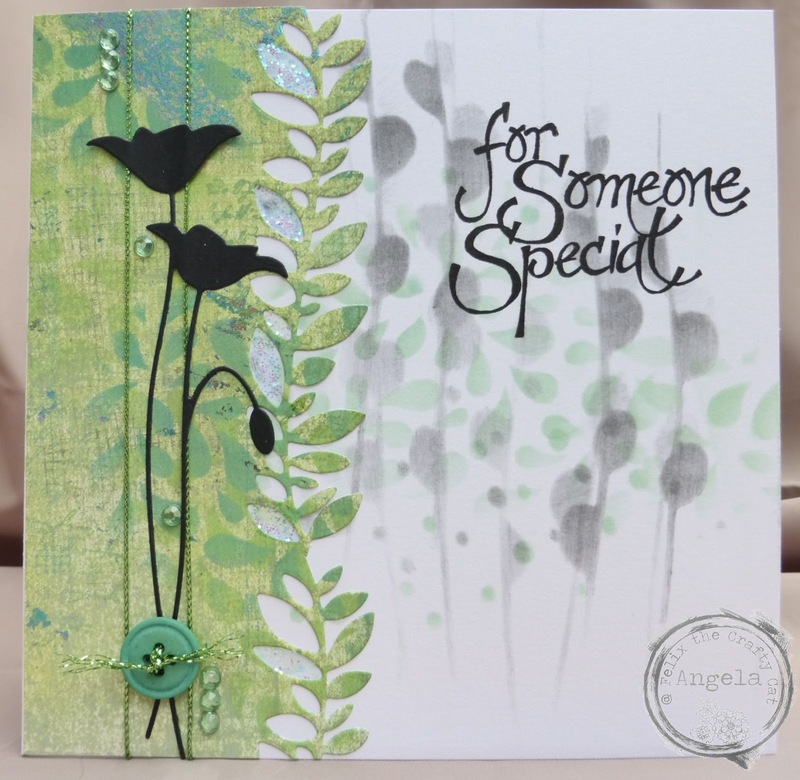 Marlene is hosting today's challenge, That Special Someone. 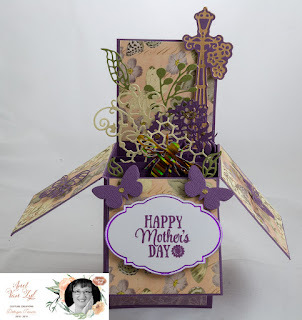 As Mother's Day is next Sunday in the UK we would love to see your Special Someone creations. 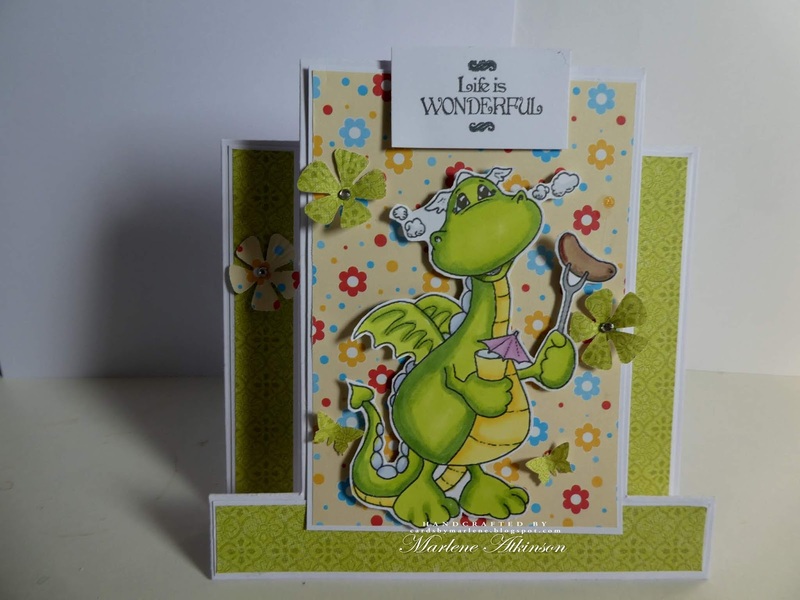 We appreciate not everyone still has their Mum, so just make your creation for a very special person in your life. 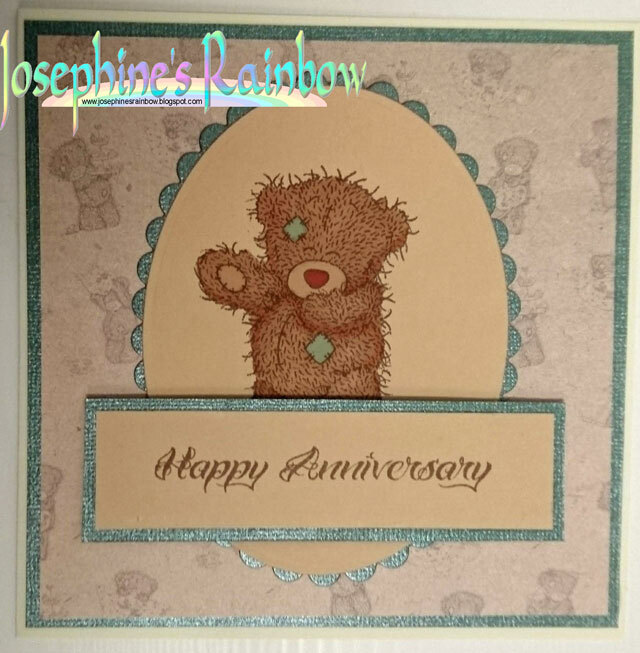 I've made a card for my husband for our anniversary. 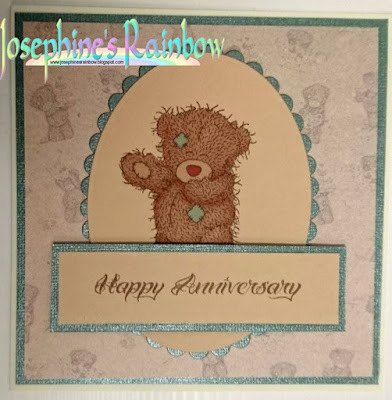 The image is from a stamp by Dovecraft featuring Tatty Teddy as is the backing paper. The sentiment uses a stamp from a Ching chou kuik plate from Sweet Pea stamps. 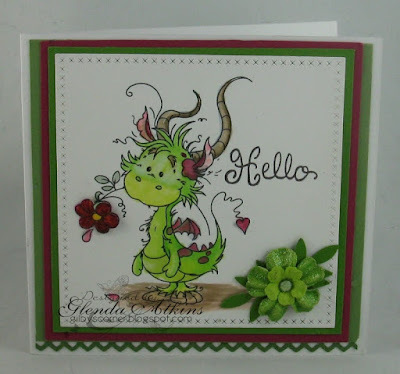 Both were stamped using Memento ink and Teddy was coloured with Promarkers. I made this card for one of my favorite grand nieces for her birthday. 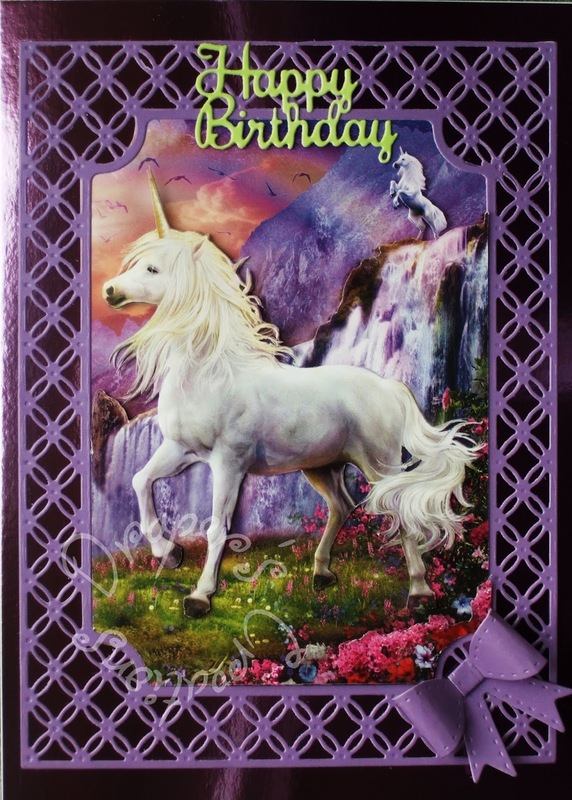 She is going to be 10. 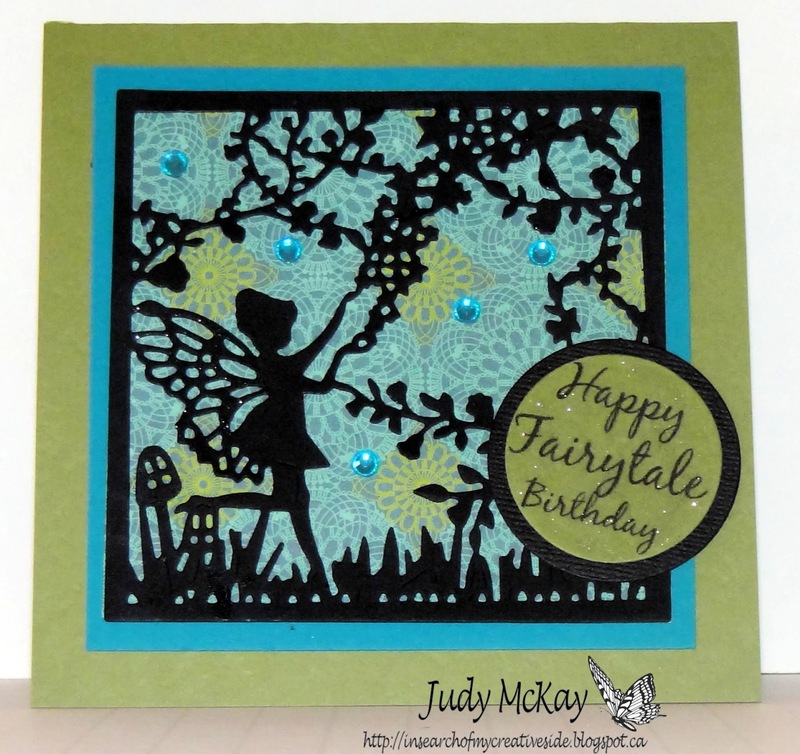 I used a fairy die cut for the card and layered it over so pretty designer paper from my stash. 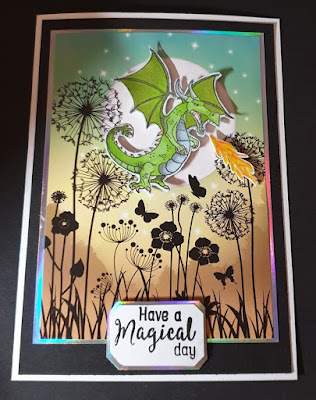 I completed the card by adding a fairy tale birthday sentient, gems and A Wink of Stella on the wings and sentiment to give the card sparkle. 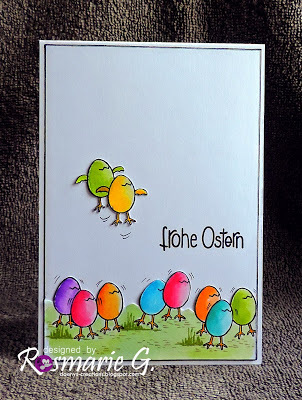 I made this card for my sister's birthday. 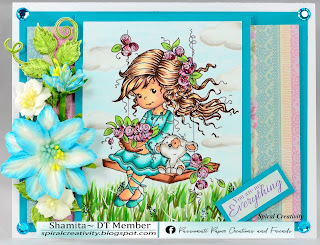 It uses the spring frame die from Tattered Lace and the downloads that accompany it. 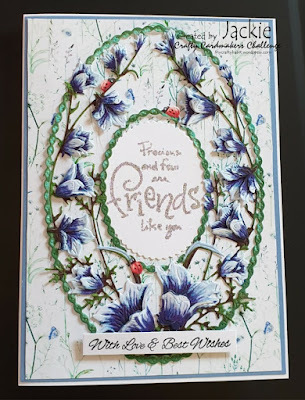 I think for lots of us, after family the most special person in life would be a friend so that's who I made this card topper for. 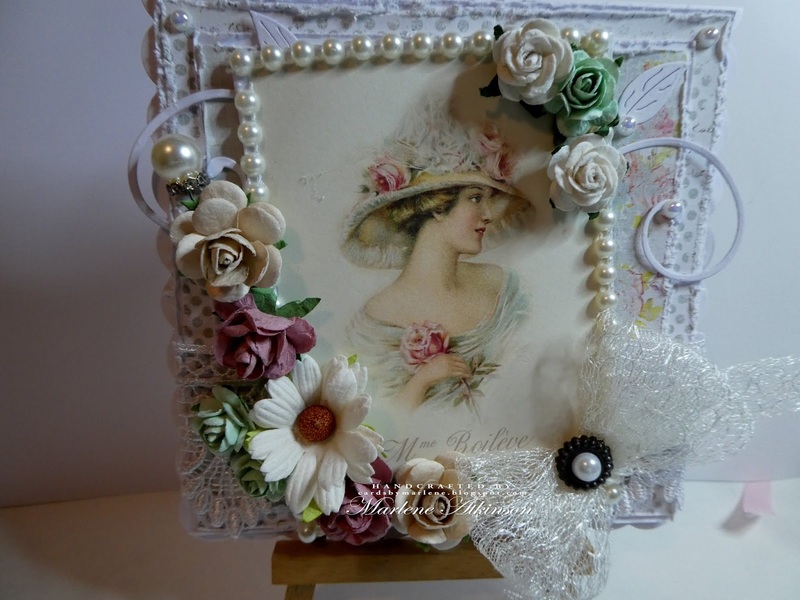 I used elements from Kanban, silver mirri card and finished with die cut flowers and faux pearls. 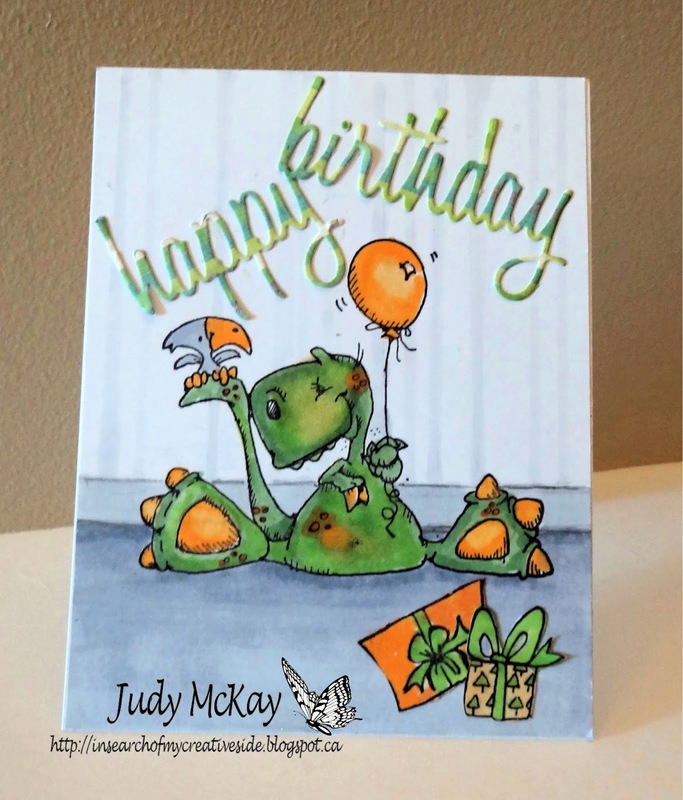 I made this card for a dear friend from high school. 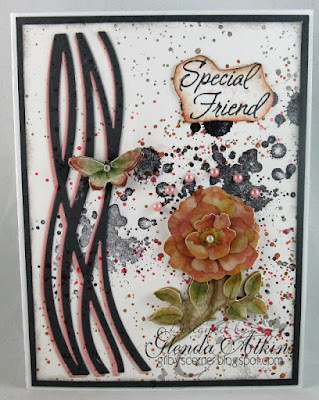 I used die cuts, a dimensional flower, butterfly and some Stampin Up background stamps. 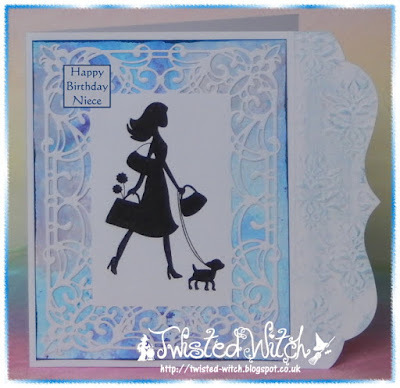 I created my card for a very special lady who is celebrating a very special Birthday. 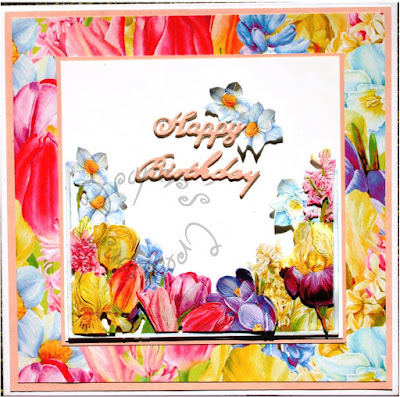 She is the Mum of a very close friend of mine and she is turning 90 this year. I have used Kaisercraft papers, a piece of Little Birdie chipboard, diecuts, lace and a few flowers. Finished it off with a seam binding bow. My card was made for a friend who had her 70th birthday this year. 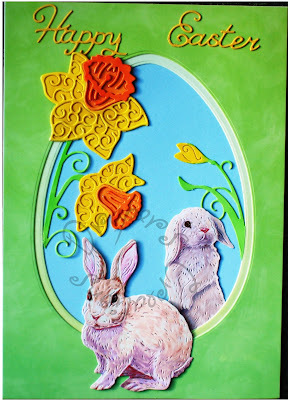 I used some backing papers from a TL download that came with the die - 3D decoupage Harebells. 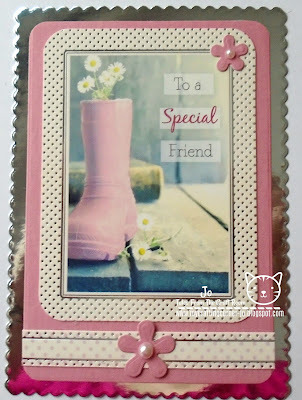 The stamp in the centre and the sentiment was from my stash. My Special Someone is my Niece. 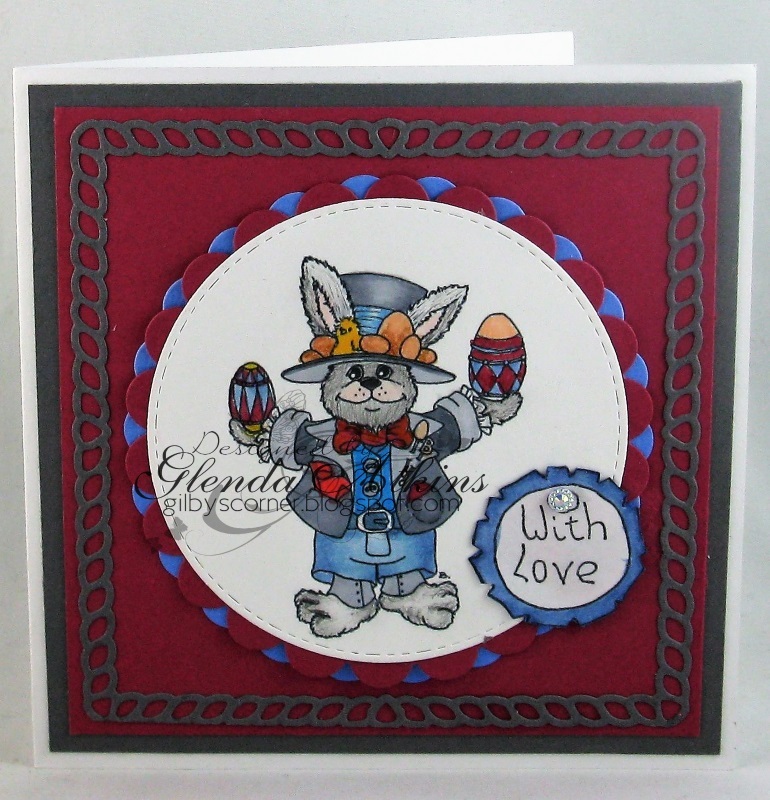 My card was made with a combination of a Sue Wilson die, Creative Expressions Stamp, Pixie Powders and a shaped card blank. 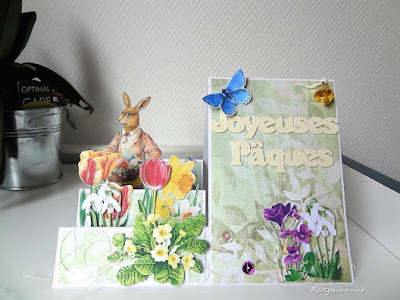 Details on my blog.